Tim Keller has a recent blog post clarifying their use of a multi-site church model. He laid out their reasons for following this model, and how their model will be changing in the years to come as local staff grows and takes more ownership. Not all multi-site church models are the same or exist for the same reasons. He briefly mentions the collegiate shift in the post. We will then transition from a ‘multi-site’ to a ‘collegiate’ model. Though still under one unified board of elders, each church will have its own pastoral team, elder team, and set of lay leaders. Other collegiate models in our PCA denomination include Harbor Presbyterian in San Diego and Brooklyn Presbyterian here in New York City. I’ve been able to witness on here in central Florida. Trinity Presbyterian Church in Lakeland has been functioning as a church planting center for close to a decade. Tim Rice planted the church in the mid-90’s. They have planted two churches in Lakeland and just planted one in Winter Haven. 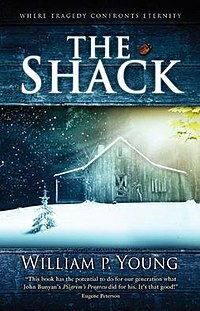 Yes, I still have not read The Shack (see Tim Keller was not the last person on earth to read it, I might be). I personally know a few people who have. I’ve tried not to engage them about it too much- things tend to get tense fast where this book is concerned. For some reason there have been a spate of blogs posts & reviews of late. They interact with the book in a variety of ways. And the comments show the typical polarization taking place. Tim Keller has a typically good number of impressions about the book. He mentions some positives about the book (including the use of narrative to convey theology), and some concerns he has (including the theology conveyed in this narrative). Those concerns center on ideas present in the book that undermine biblical, historic, orthodox Christianity. One pertinent concern is that it really does not prepare anyone to meet the God of the Bible. The god portrayed is a more post-modern, neutered deity who fails to recognize the relational nature of sin, and how the Law reveals love. If we are expecting people to become Christians after reading this, the bait & switch tactic is unloving and unfair. It is unloving to our neighbor, and to God (whose character is misrepresented, which sounds like bearing false witness to me). Al Mohler laments the lack of evangelical discernment in this whole affair. He addresses one of the defenses of the book- that it is a work of fiction, not a theological treatise- quite well. With my search for a new pastoral call pretty much over, I would be remiss to not express gratitude for God and his many blessings through this long trial. Jesus my Great High Priest, who sits upon the throne of grace that I might receive mercy and grace in my times of need (Hebrews 4). Indeed, a bruised reed he will not break, a smoldering wick he will not put out. The Father was teaching me to rely not on myself but on Him who raises the dead (1 Corinthians 1). The Father’s “manna” from heaven that sustained us, inexplicably, through a long period of un/under-employment. He used so many people, in so many ways, to provide for us. We never missed a meal or a mortgage payment. For granting repentance regarding the idols He revealed in His occasionally severe mercy. For my wife. We were on the same page 97% of the time. She was supportive. I’ve seen many marriages really struggle in a time like this. Ours didn’t. For my kids. During this time we adopted CavSon without incurring any debt, and saw him through 3 surgeries without incurring any debt. They bring much joy to our hearts, often helping us to keep things in perspective (sorry daddy was so grouchy sometimes). For brothers, past and present, who wrote books that encouraged me including Tim Keller, Sinclair Ferguson, Richard Sibbes, John Newton and John Piper. For all the brothers and sisters who prayed for us, encouraged us and showed us kindness. This includes the friends I made on search committees that chose someone else. Some blessed our times of fellowship with good beer which didn’t ordinarily fit my budget. For the worship music of Jars of Clay, Chris Tomlin, Matt Redman and Indelible Grace for reminding me of the gospel when I was prone to fix my eyes upon my circumstances. For the many churches that welcomed me into their pulpits. It was great to meet so many people, serve them and be encouraged by them. Since I’m feeling ill, I’ve got a bit more time to poke around the internet today. With the return of a book allowance I was interested in what books might be coming out soon. O happy day! Sinclair Ferguson has a new book coming out. If you’ve been on this blog much, you’ll soon discover that Dr. Ferguson is one of my favorites. His new book is called By Grace Alone: How the Grace of God Amazes Me. He addresses the sad reality that many in the church are no amazed by God’s love & grace. A bit of that entitlement mentality that plagues us in many ways. I look forward to reading this. Sorry, that is just one book. But it promises to be a good one that is worth reading often. Scandalous: The Cross and the Resurrection of Jesus by D.A. Carson. Carson is another one of my favorite contemporary authors. This series to designed to simply and clearly present central doctrines. With them under attack (again), this should be a good defense of historical orthodoxy. We have learned the result of our recent trip to Tucson. After a week to pray, the congregation had a meeting today. I’m very grateful for the way in which the Search Committee and Session have handled this. It is a big decision for a congregation. Rather than just vote, they informed the congregation of the process they used, and why they thought I was the man God had chosen to lead them into the future. They allowed time for questions, and then voted. This was great for them, but tough for us. “We kept wondering, are they ever going to call?” At one point we paused the movie we were watching to pray, again. We were getting pretty anxious to be honest. After about an hour and 40 minutes one of the elders called to let us know that they voted to extend a call as pastor of Desert Springs Presbyterian Church. They were very excited about what God may have in store. Probably? Why probably? Presbytery, that’s why. I’ve seen enough to know that Presbytery is not a formality. This Presbytery sounds like a good Presbytery with very few hot-button issues. The elders think I’ll fit in pretty well. So we are excited, and sad. This will be a big change, and we have made many friends here in central Florida. But we see ourselves going to be a part of a great community with lots of promise. Our timetable is not set at this point, and there are many things for us to do before we leave. Update: Though dated (it is 10 years old) this article has some info for pastors who are moving. Here is another brief article. The topic of church discipline is a touchy one. People tend to go to extremes. They either try to discipline people for anything and everything, or they try to avoid ever doing it no matter how severe the sin. My experience as a pastor has been mixed. There have been times I’ve believed church discipline was required, but enough of the Session disagreed that we never pursued it. I’m sure some of those times I may have been over-reacting since the people were attacking me. I have been wanting to read The Transforming Community: The Practise of the Gospel in Church Discipline by Mark Lauterbach (that’s not a typo, but the British spelling of “practice”, I think) for a few years. I finally picked it up. I’m glad I did. It is a great little book (so far, I’m only 1/2 done). Mark sees church discipline as a part of how we live out the gospel and how God transforms us. It is an essential function of church life- part of the church being the church. Without it the church becomes a social club and lives are not really changed. This was one of the issues I encountered. Many in the church wanted it to be more of a chapel (nice service, not much else) rather than a place where the gospel was at work to make people more like Jesus (Romans 8), as Christ is formed in them (Galatians 6). Lauterbach rightly points to pride as one of the main problems in the church. We resist church discipline, thinking it unnecessary because we think more of ourselves than we ought. We fail to recognize we are the biggest sinners we know (1 Timothy 1:15, as Paul uses the present tense). If we are unwilling to face our sin, the gospel makes no progress in our lives.